China Mobile yesterday announced strategic cooperation agreements with six leading China-based companies to broaden the use of its authentication platform which will simplify log-in for hundreds of millions of users of the new partners’ apps and services. Partnerships were signed with Xiaomi, iQIYI, Qihoo 360, Ant Financial, Bank of China and Shanghai Pudong Development Bank at the Mobile Authentication Open Cooperation Summit at Mobile World Congress Shanghai, designed to create a new business cooperation model, China Mobile said in a statement. 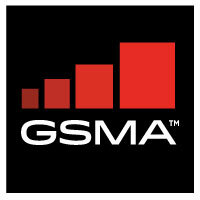 The operator’s mobile authentication is based on GSMA’s Mobile Connect and provides enterprise-class, one-stop account authentication for internet applications. Mobile Connect is the mobile operator facilitated authentication solution that provides simple, secure and convenient access to online services. Since launching at the end of 2016, China Mobile’s mobile authentication capabilities have connected 1,800 applications covering everything from financial and travel services to entertainment and education. The operator said the daily authentication volume reached 450 million in May, with monthly active users increasing 240 per cent compared with the same period in 2017. The number of daily live users rose 170 per cent year-on-year. Hong Xiaoqin, general manager of China Mobile Internet, said as part of its ‘big connection strategy’ the company will work with industry partners with “a more cooperative attitude to more conveniently connect users with applications, data and various channels”. China Mobile, the world’s largest mobile player by subscribers, also released its open collaboration policy to build on existing development capabilities and seek more cooperation with upstream and downstream companies in the authentication value chain.